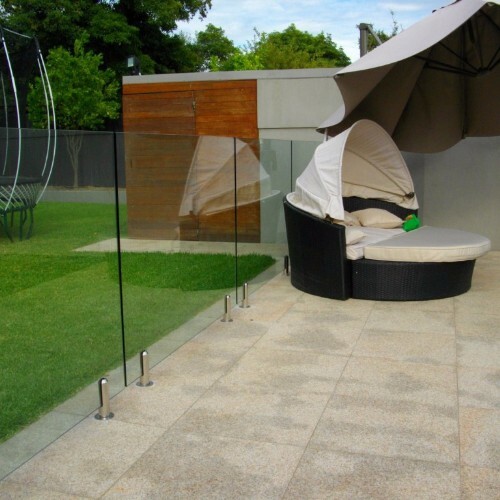 This simple, stylish and affordable glass system is perfect for use around swimming pools, as wind breaks, around patios and low-level decking areas. Each panel of glass is supplied with 2no.stainless steel spigot floor clamps and stands 1000mm high from the ground. 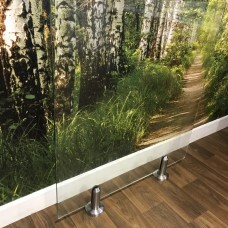 10mm clear toughened safety glass is supplied with this system. 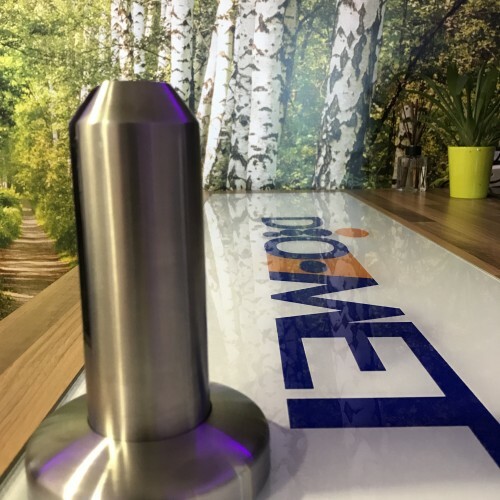 Our spigot system is easy to install and available in various widths, please select from the drop-down menu. All spigot glass systems are made to order and delivered in 2-3 weeks. Please note these systems are non-structural and should not be used to guard falls in height- please see our ‘baustrades’ section for something more suitable for such an application.